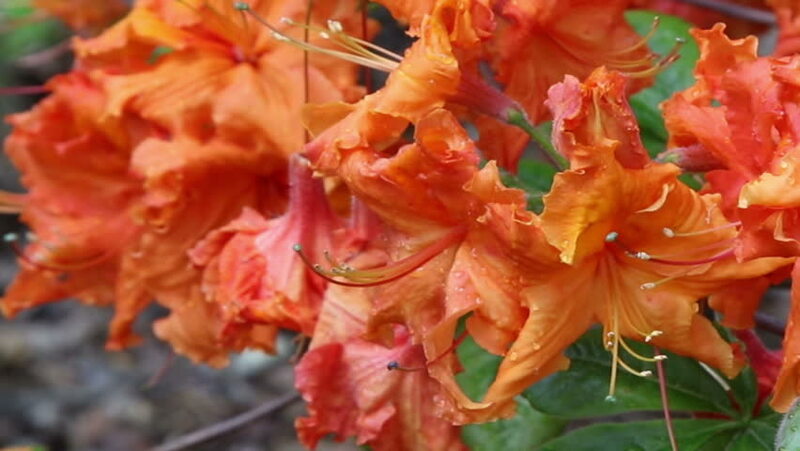 Blossoming rhododendron in the garden. hd00:19SLOW MOTION CLOSE UP: Wet fallen leaves laying on road in rainy autumn season. Drenched colourful autumn leaves laying on ground after rain in fall. Wet colorful leaves lying on autumn forest road. 4k00:36Leaf fall in the autumn city park. Beautiful background of colorfull leafs. hd00:27A group of red poppies (spring flowers) shaken by a strong wind. Centered image. Long shot. Black background. hd00:25A group of red poppies (spring flowers) shaken by the wind. Centered image. Detail of the petals. Black background.